1 year. 365 days. 90 posts. Too many calories to count. I can't believe it myself, but it's true. Baking the Book is officially celebrating its first birthday today. I am over the moon. I am so glad to have shared this year with all of you, baking and eating and even making mistakes. But really, what fun would it be to read about someone who always makes something tasty, always pulling something beautiful from the oven. Personally, I don't think those people even exist. I have certainly removed my fair share of uglies from the oven. Even though I don't get quite as many hits as some of my favorite blogs, I am unbelievably appreciative of all of you, dear readers. You have helped to make this one of the best years I can remember- definitely one of the yummiest. So, I hope you'll join me for another year on a new journey. I'll be in a new location, but I will still be baking and blogging. Luckily, my brother has a flat. And his flat has a kitchen. And he probably will not be in there all that often. Which leaves it open for me! I love to cook and bake for Beau. He will try just about anything, and he's not afraid to tell me what he thinks. I can't imagine that the kitchen will be large, but all I need is an oven, a stove, and a pantry for ingredients. Because it is such a special occasion, I thought it would be fitting to make one of David's recipes, bringing everything full circle. I could have made cookies or a traditional birthday cake. I wanted to make something a little more unique. After all, you only turn 1 once, right? Hours of deliberation left me indecisive. But then it hit me. What had I been craving for over a year? 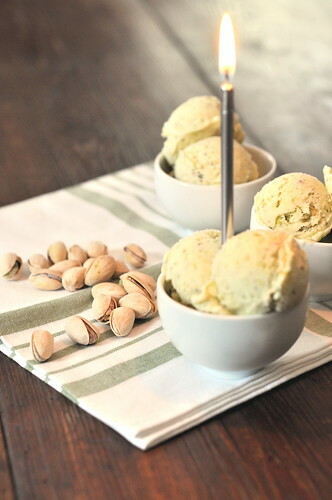 Pistachio gelato. Ever since Modica closed, I've had two voids. One in my heart and one in my stomach. 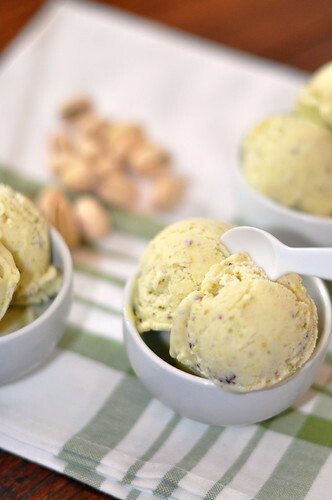 I've sampled pistachio ice creams and gelatos from cartons from the grocery store, at fabled ice cream labs, and at wonderful restaurants. Nothing lived up to Modica. 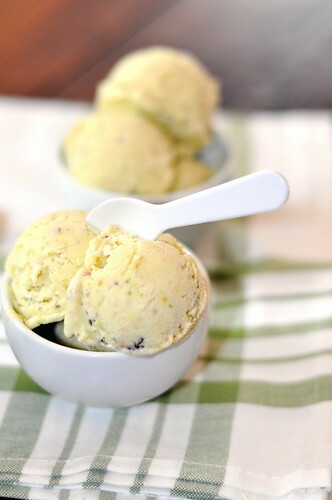 I figured that I would simply have to make some myself, and who better to turn to than the ice cream guru himself. Of course David had a recipe, and it definitely sounded good, but it calls for pistachio paste. I don't know about you, but pistachio paste is not something I keep in my cabinets. Nor is it something I could find at the grocery store. I scanned website after website. Finally, I found Zingerman's. I was all set to check out when a little box popped up. "Currently out of stock," it declared. I wanted to cry. I located another supplier of Bronte pistachio paste (the kind David recommends), but the shipping was $50!! I couldn't justify the expense, so I signed up for Zingerman's waiting list. Two weeks later, a glorious email awaited me. It was back in stock. I happily shelled out my $27.99. All I had to do was wait. It arrived while I was out of town, so my vigil was prolonged a few more days. Let me tell you, the wait was absolutely worth it. While it was different than Modica's, it was equally delicious. It is unctuous and demure. 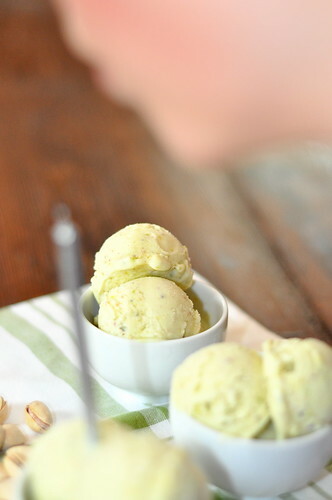 It is everything I want in a pistachio gelato. Whisk 1/4 cup of the milk together with the cornstarch. Heat the remaining milk with the sugar in a small saucepan, stirring until the sugar dissolves. Add the cornstarch mixture and simmer for about three minutes, stirring until the mixture is thick enough to coat the back of the spoon. Remove from heat and chill completely. Add the pistachio paste and the lemon juice to the milk mixture and whisk to combine. 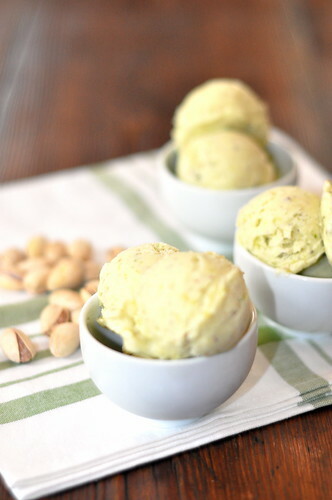 Churn in your ice cream maker until the gelato is thick and creamy. Transfer to a container and put in the freezer to harden further. Enjoy straight out of the tub or plopped on top of a toasty waffle cone! Congratulations my dear chef!! I wish I could have been with you to celebrate this milestone. I can't wait for my cookies and to see your beautiful face!! Come to Clemy pleaseeeeeee!! !